If you haven’t read it yet, part 1 of this story can be found here! This place is located in Bavaria, and as many other places of that area, it has a lot of history. The city itself is not too big, and therefore there is not much information about it in the archives. Little is known about the early days of this city. On the one hand, this city’s history has not been researched very thorough so far; on the other hand, information about this city has only been handed down from the 17th century; the oldest surviving document is a church account from the early 1600’s. 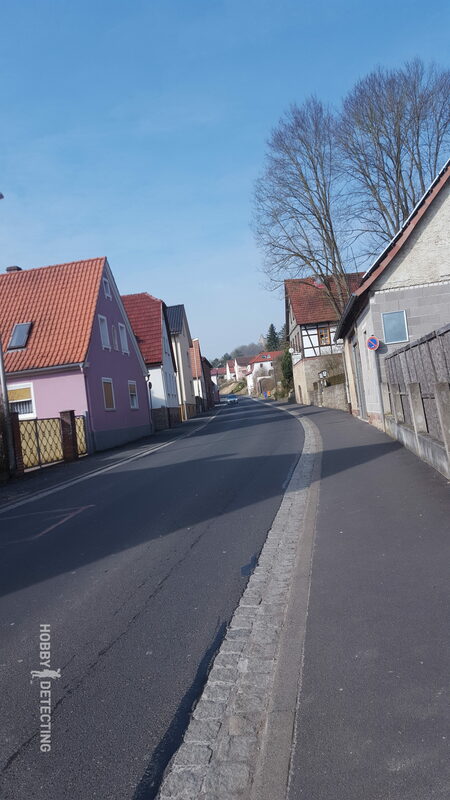 A lot of information about this city, for example, about the effects of the Seven Years’ War has been lost through the destruction of this city during the Second World War. However, just outside the city itself lies the probable reason of why this city was inhabited in the first place: a large medieval cloister, or what’s left of it (ruins). This cloister was built around the year 1000 and stood basically unchanged until the famous riot of the German peasants began in the 16th century, where this cloister suffered some damage. In addition, not so far from the cloister there has been found traces of old trade routes and roads dating as far back as to the times of the Roman Empire! However, enough history lessons, let us get back to the story. 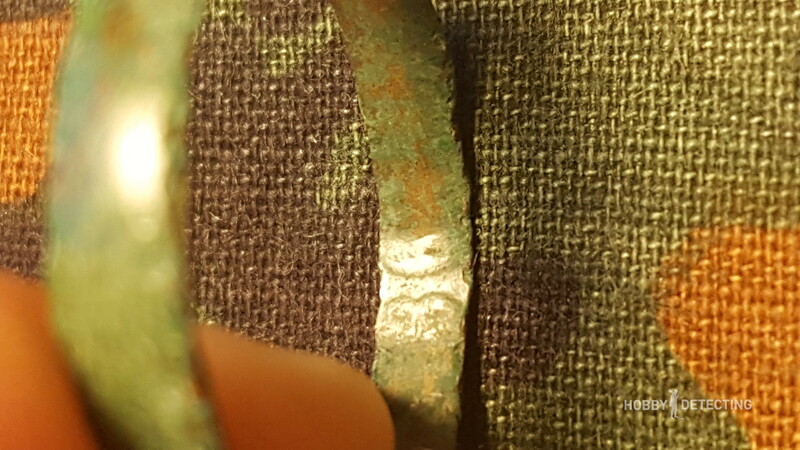 As we arrived at our destination with Nico, we greeted the other detectorist, Nico Jones, from yesterday, as he also would attend detecting with us today, as well as one other detectorist who we hadn’t met before. And then, I and Marco, Nico, Nico Jones and the new guy started wandering together along old paths and forests a bit away from the cloister, as we weren’t planning on breaking any of the Bavarian rules of trespassing on archeologically protected areas. 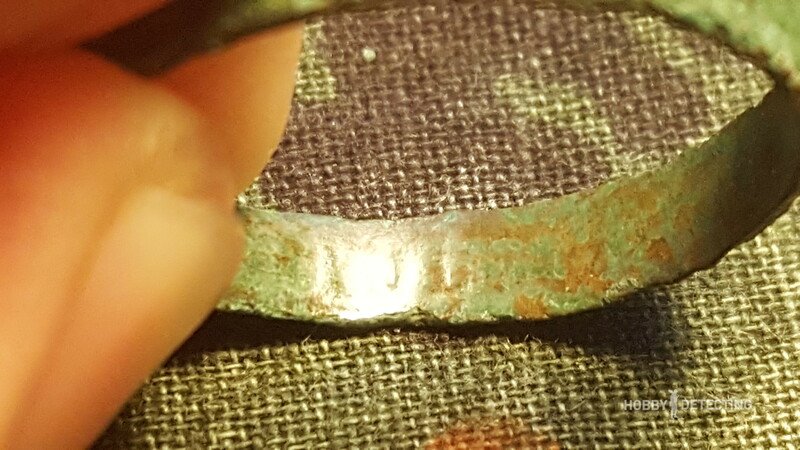 Our first “good” find turned out to be an old shoe buckle in a good condition, probably from the 18th century. As we went along an old path in the forest periodically finding bullet casings and other common finds, Nico Jones shouted for us to come to see what he had found. It turned out to be a dagger scabbard, unfortunately without the dagger itself. We continued walking. 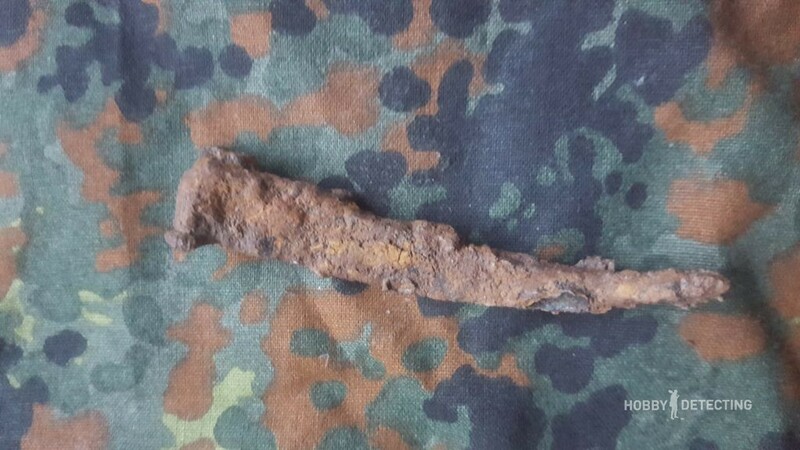 Next find up was an interesting medieval nail, found by Nico, who was kind enough to give it to us. Just as we were walking over an old path, we suddenly heard a large and suspicious signal. 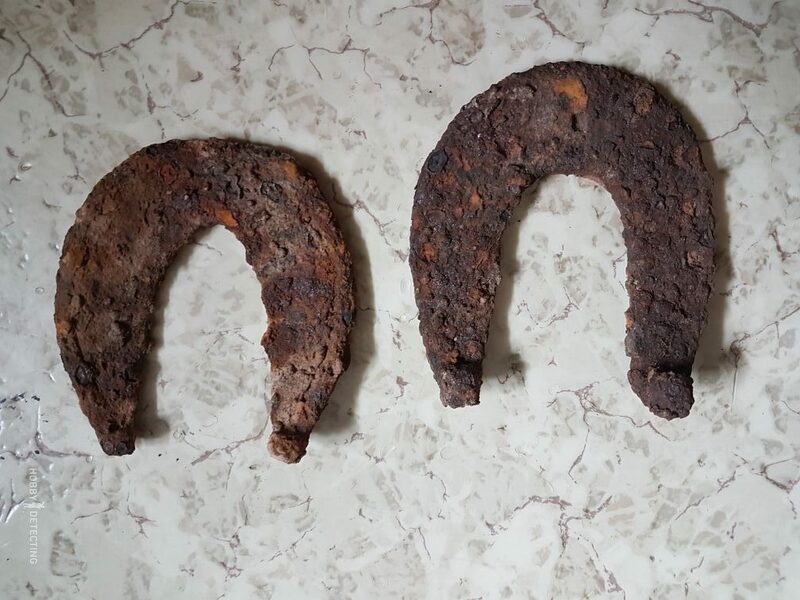 It wasn’t too deep down, and as we dug, we uncovered two very old and beautiful horseshoes not far from each other! We went on along the old roads, presumably roman, for about half an hour without finding much, when we suddenly heard a shout from someone. As we approached, we knew it had to be something good, as Nico Jones had the expression of a satisfied detectorist on his face. As we arrived, he opened his hand and showed us his find. Unbelievable! 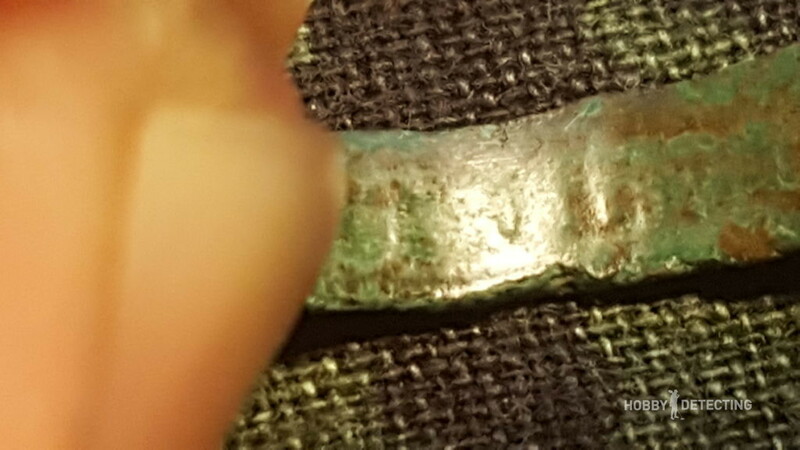 It was a Roman coin! Stunned by his find, we all continued along the same path, finding different common finds ranging from buttons to old fragments of a bell. 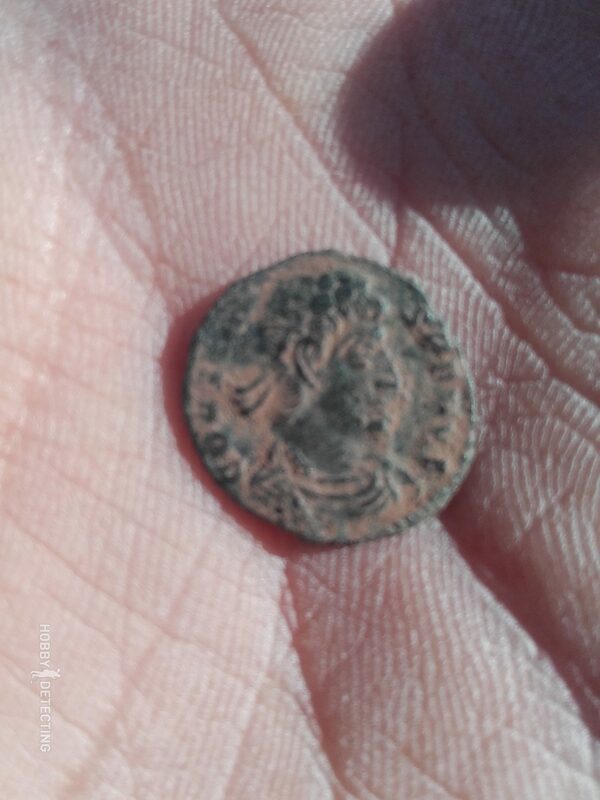 Walking just 10 minutes away from the location of the Roman coin, Nico Jones ran up to us to show us his next find. No way! 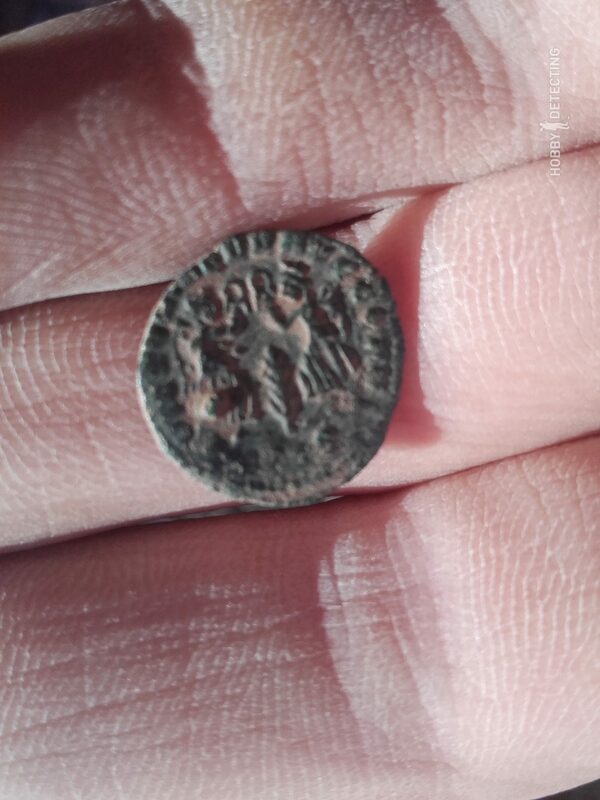 This lucky Sondler had just found yet another amazing roman coin! 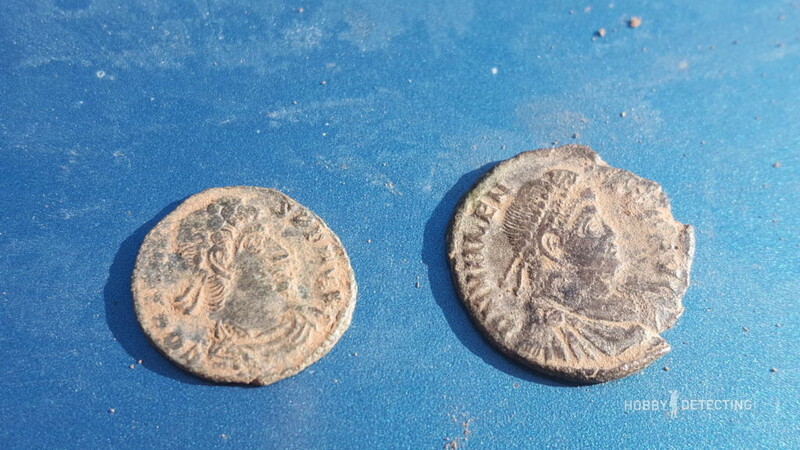 As we continued along the path hoping to find our own roman coins, we ended up walking out on one clearing in the forest and decided to check if we could find anything there. 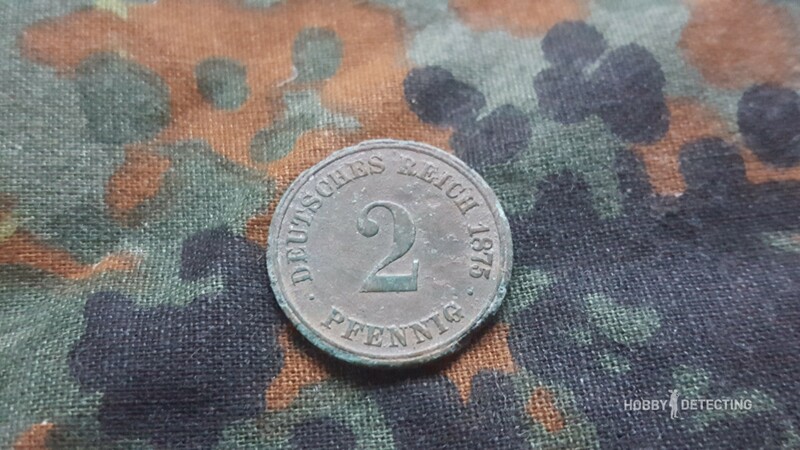 Our first signal on that clearing actually turned out to be a coin, a beautiful German 2 Pfennig 1875, from the times of the German Empire. 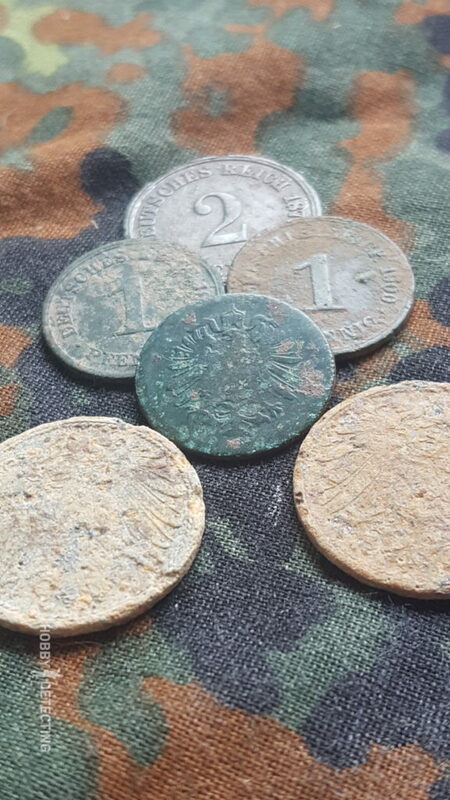 As we continued further along this clearing, we found even more coins from the times of the German Empire. 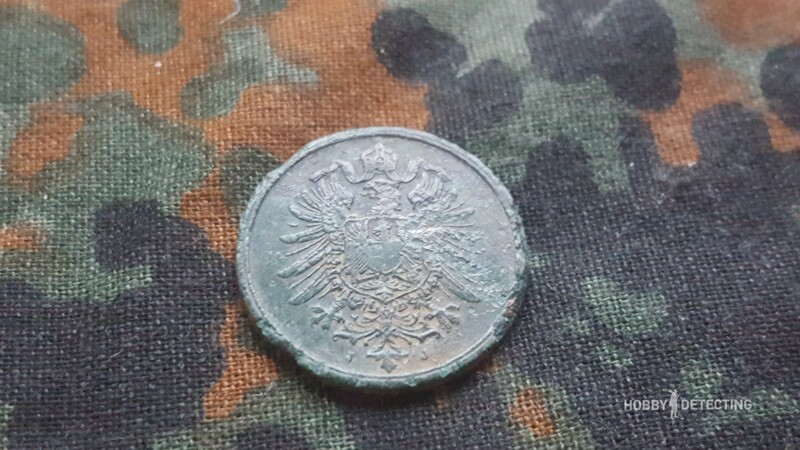 Right next to an Imperial 1 Pfennig from 1876, we heard another coin-ish signal, but this was no coin. 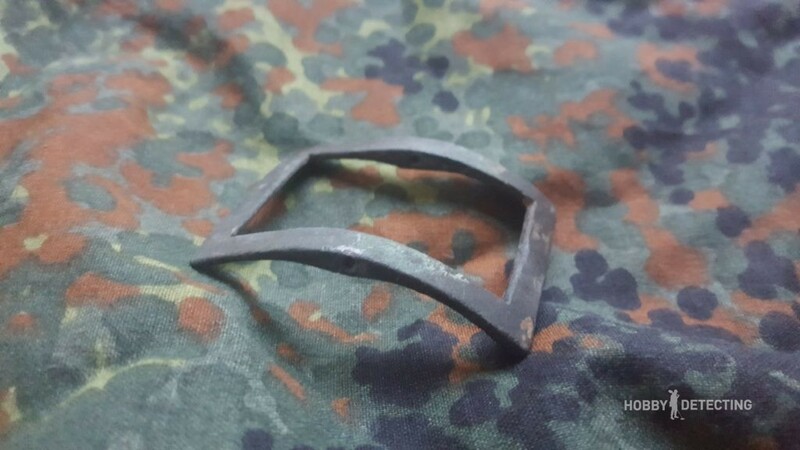 It turned out to be a ring, seemingly an ordinary peasant’s ring. 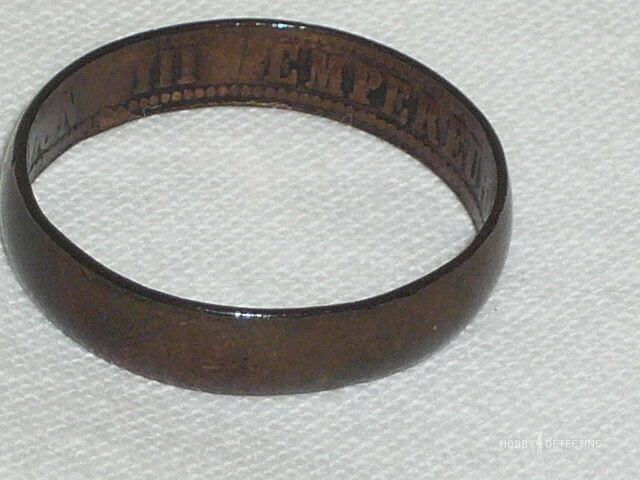 The inscriptions read as follows: “Napoleon III Empereur 1862”. Now this is quite interesting, isn’t it? 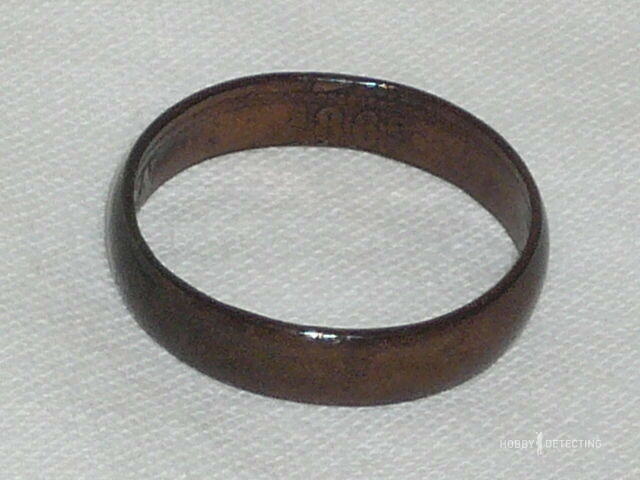 After finally figuring out the very faint descriptions on the ring, I did some research on the internet, and I was quite surprised to see the results. 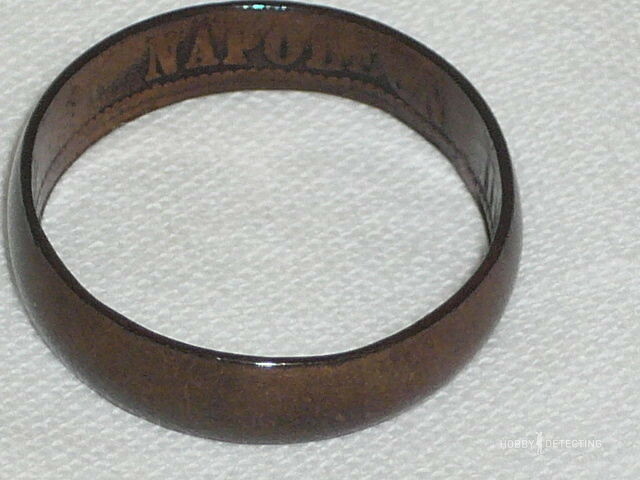 Inscribed ‘Napoleon III Empereur 1862’, with the letter from the Musée National. According to the attached letter from the Musée National de la Légion d’Honneur, it is a gift of the emperor, possibly for services in the attempt of the French troops to conquer Mexico. 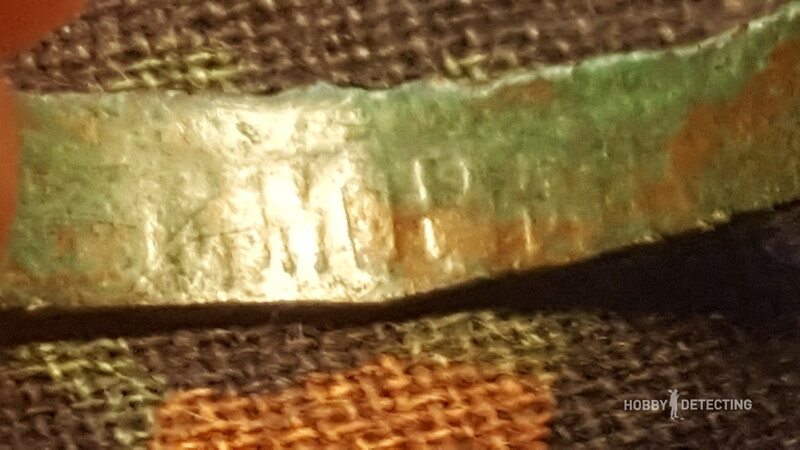 Brass, inscription on the inside, signs of wear. If this actually is true, then I may have just found a very valuable piece of history! If you are interested, you can find the page itself here. 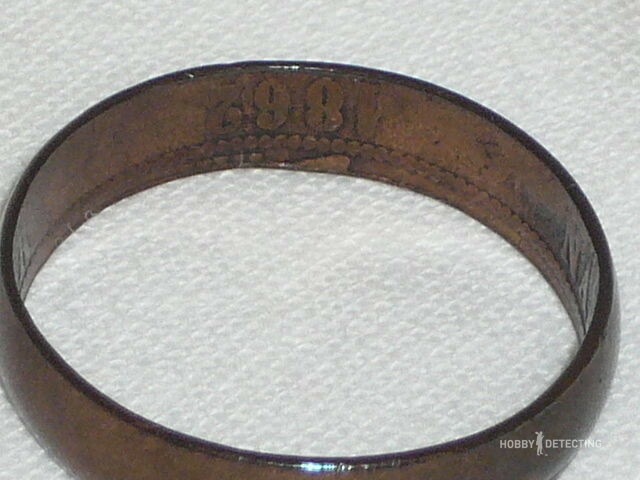 On another page, I read that one family has this exact ring but with the date “1864” inscribed. 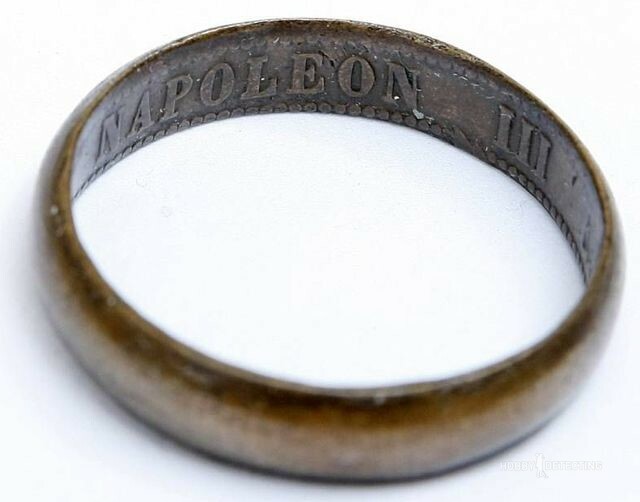 The author of this page claims that this ring has been in that family since Napoleon III himself handed that ring to one lady, that was a mother of one of his kids. An interesting variant, isn’t it? If you don’t believe me, go see the page for yourself here. And if you don’t speak German, just translate the page with google translate or something like that. The message should be pretty clear. And here is a link to a forum where one detectorist has found this exact ring dated “1862”, just like our ring. Here different people present their thoughts on the origin of the ring, just read for yourselves. 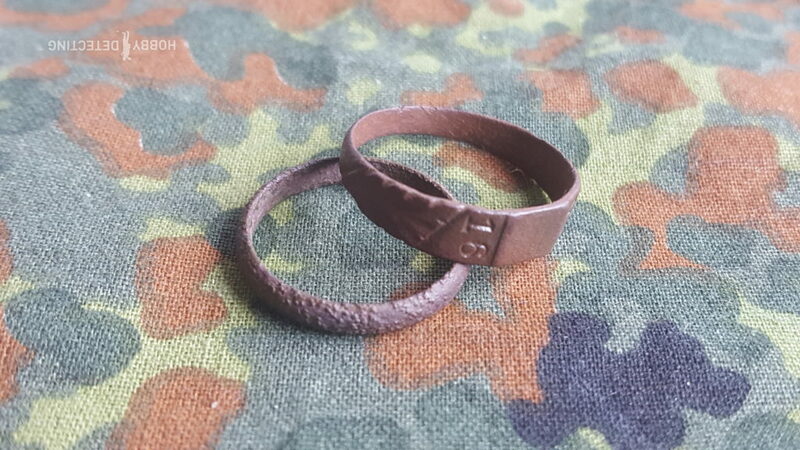 In total, I would say that this ring is an amazing piece of history that is really worth taking good care of, and I am very happy that we found it! 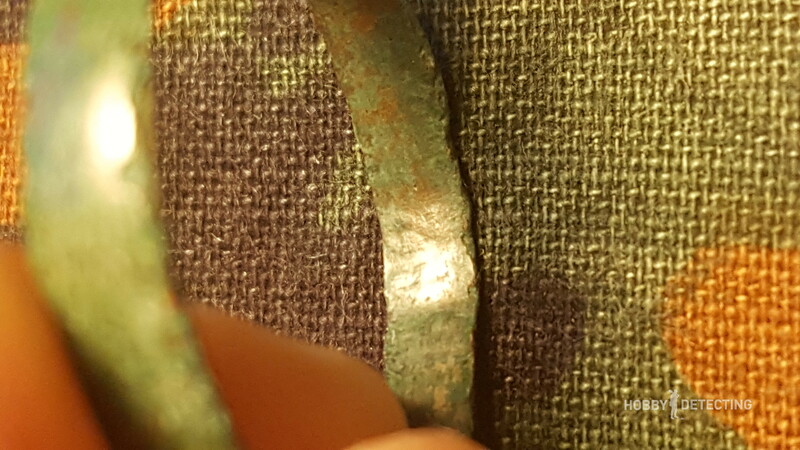 Moving on, it eventually became clear that this opening used to be a field or something like that until the early 1900’s, as I found multiple coins from that time period. 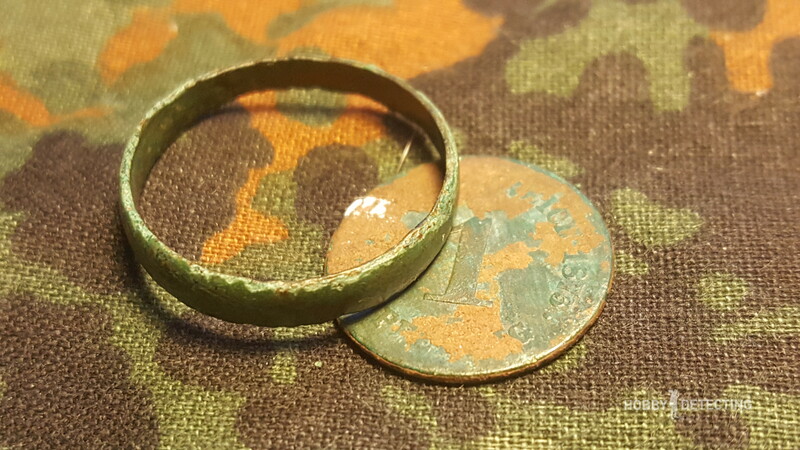 As even more items like buttons and coins started appearing, we also uncovered two more rings. 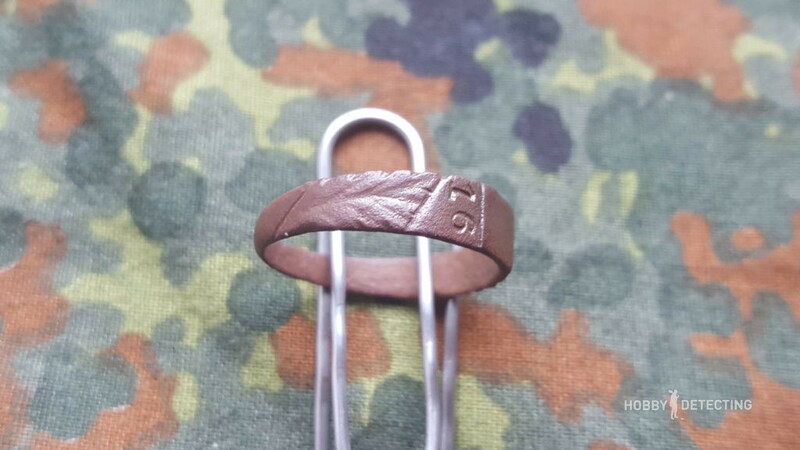 One ring was a normal peasant’s ring, but the other one seems to be a memorial ring from WW1! 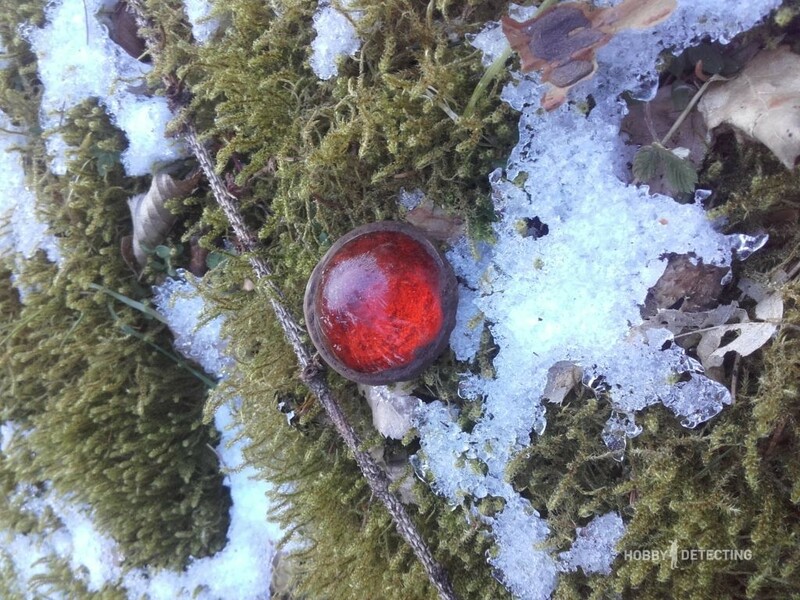 This is another mysterious object found on that clearing. 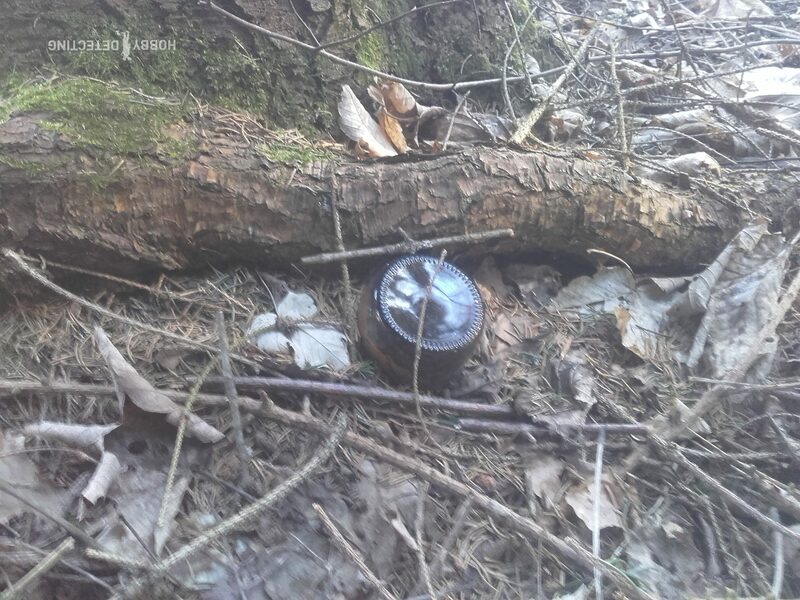 As we went past the clearing and was about to head back to the car, I spotted a bottle on the surface. 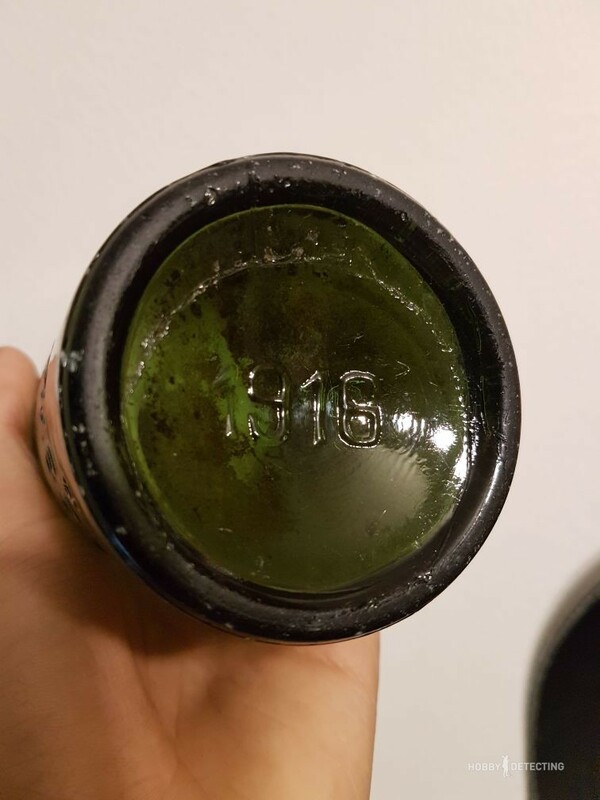 Out of pure curiosity, I went to pick up the bottle to have a better look at it, and maybe look at what year it was from. “The 40’s if we’re lucky?” I thought. The inscription on the bottle reads as follows: “K. Wahler Brauerei Bad Kissingen A”. This was really a surprise for us, as my friend Marco’s hometown in Germany is Bad Kissingen itself. 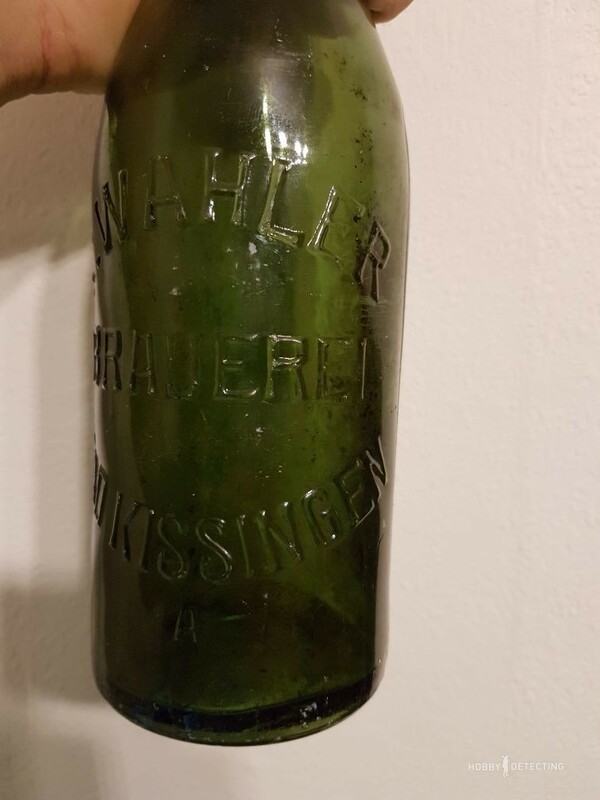 Just imagine the coincidence of that bottle also being from Bad Kissingen! 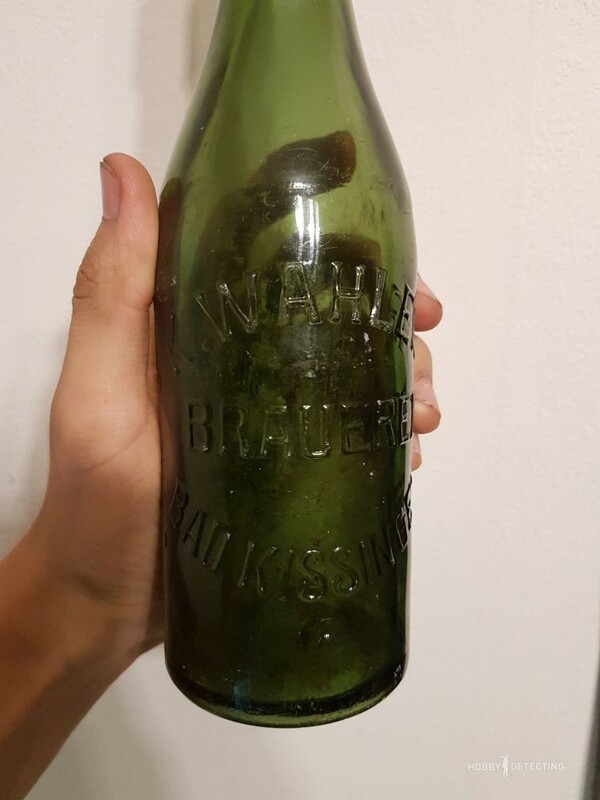 But the huge surprise for us all was when I turned the bottle around and saw the date on it. 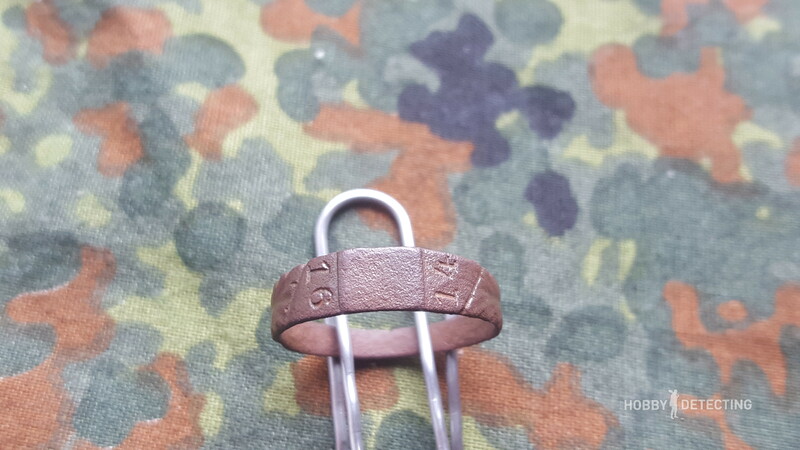 Wow, 1916! 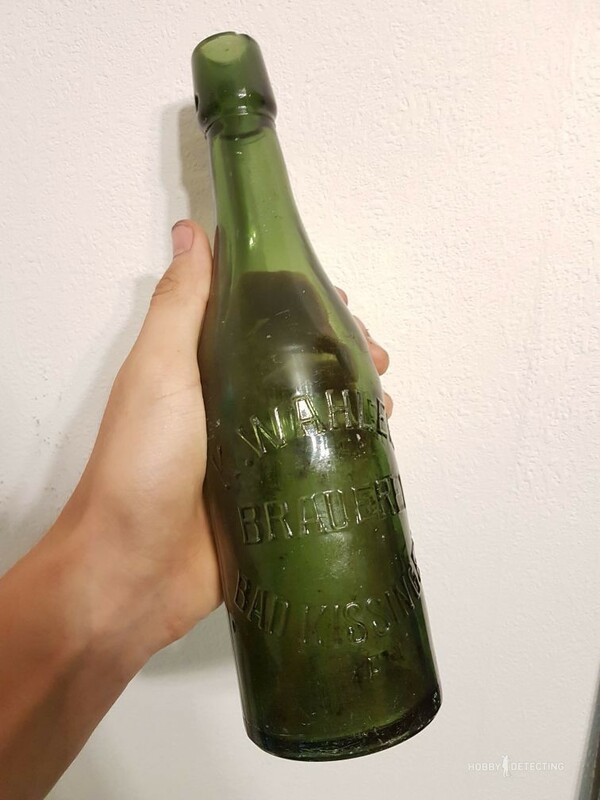 Just imagine that; this bottle was stamped in 1916, filled with beer, drank in that place, thrown on the surface and been there for over 100 years waiting for me! In total, it was a great day for us all. We were satisfied with that day and went home. 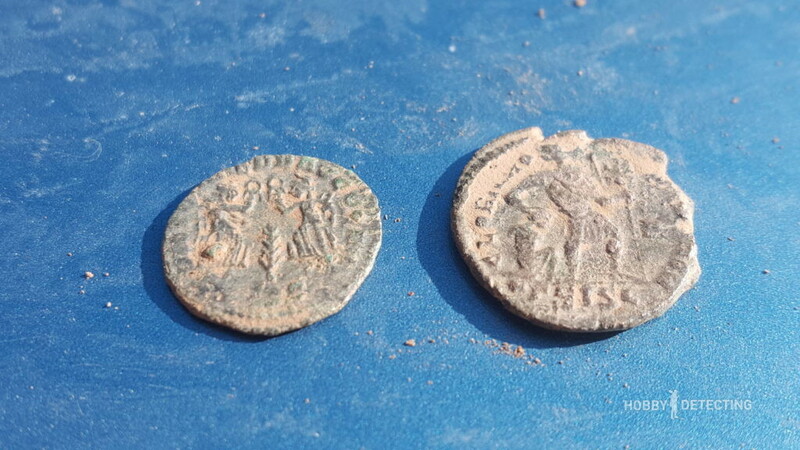 The next day that Marco and I had time, we decided to go back to the place where Nico Jones had found his roman coins, inspired by his luck and the desire to find our own roman coins.